Israeli virtuoso Pinchas Zukerman will join the San Diego Symphony Orchestra this coming weekend for two nights of a nearly-all Tchaikovsky program. Maestro Zukerman will both conduct and solo on his violin as the symphony performs three works by the famed Russian composer, including “Mélodie, No. 3 from Souvenir d’un lieu cher,” “Sérénade mélancolique” and “Serenade in C Major.” The symphony’s entire string section is featured on the final piece. Also on the program is Mendelssohn’s “Symphony No. 4 in A Major,” the German composer’s high-spirited travelogue from his nine-month tour of Italy as a young man. 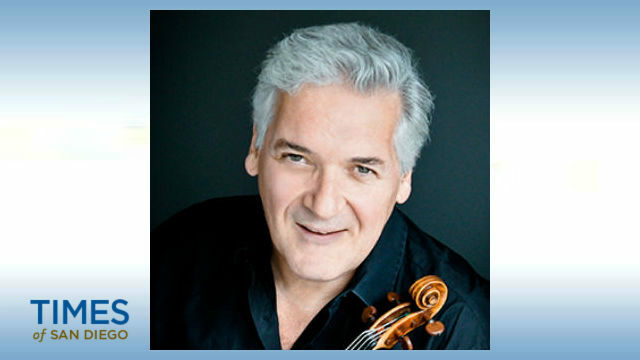 Zukerman is one of the San Diego Symphony’s most beloved collaborators, performing here regularly. He lives in New York and is on the faculty at the Manhattan School of Music. Both concerts are at 8 p.m. on Friday, Feb. 2, and Saturday, Feb. 3, at Copley Symphony Hall in downtown San Diego. Tickets are available online.